Unleash the full potential of your culinary creativity! 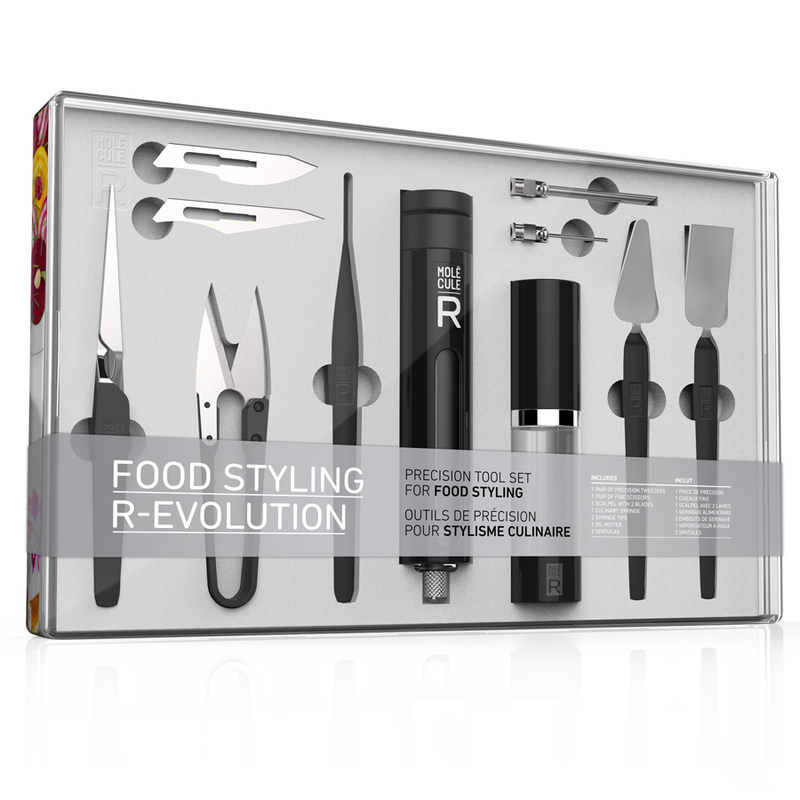 MOLECULE-R is giving foodies worldwide the food styling toolset they’ve been waiting for for years: from tweezers to scissors, from syringe to scalpel, each high quality tool has been carefully designed and engineered to make styling your culinary creations at home easier than ever. The kit comprises 11 easy-to-use tools and accessories, each with its designated compartment in the minimalistic, space-efficient included box.